The ignition relay controls power coming from the battery to the fuel and ignition system. the relay comes alive. The ignition relay is located underneath the hood between the fuse and relay panel. It is designed to last the lifetime of the car but their moments when it fails. When the ignition relay is damaged you will notice the car stalling while driving. 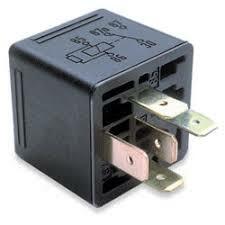 Before we get to how to test a relay, you may need to first diagnose the symptoms of a faulty/damaged ignition relay. The internal combustion engine operates through the ignition of a fuel/air mixture. The spark plugs provide the spark necessary for ignition. The ignition relay sends power to the fuel system. When it is faulty, power is cut off to the fuel system and spark plugs. This immediately causes the car to come to a halt. If the relay is short-circuiting you may drive again only for the car to stall again. In the fuse box, you will notice the relay plus other fuses. Dirt and contaminants find their way inside the fuse box and destroy the fuses. When this happens you may have a damaged relay. The ignition relay helps start your car start and when it is destroyed you will notice that the engine is not coming to life whenever you turn on the ignition. You may also notice that some of the other car accessories are receiving power but not the engine. This is because of the ignition relay powers the fuel and ignition system. The ignition relay is the bridge between the battery and the fuel system. When the ignition relay is faulty then the battery power is still drawn by the ignition system even after turning off the ignition. You will notice that even if the battery is new and working fine it is always drained of power especially in the morning. The relay uses circuits and there moments it will overheat. When the relay is burned it melt other fuses in the box. When this happens you will be forced to replace the entire fuse box. When one wants to test relay they need to first identify where the circuit goes in and out. There are standard numbers used to identify the connection pins. The relay box will have a list of the numbers. For the control side, you have pins 85 and 86. Pin 85 is used to let power in and it flows out through pin 86. This complete circuit is what activates the electromagnet. Pin 30 is used to regulate controls current flow from the battery and when energized closes the circuit. When using a multimeter, ensure that there is a voltage at the 85 pins. Then check the 86 pin if no current is flowing note that you could be having a blown fuse. Before you can start testing your relay with a multimeter you need to first have a basic understanding of how relays work. Inside the relay is an electromagnet that opens and closes depending on the current passing through. The relay will help prolong the life of switches by preventing the flow of high amperage electricity. The terms open and closed circuits are used in the relay to signify whether there is a current flow or not. When contact points are open then the circuit is open and when they connect the circuit is closed and current flows. Before you can start any work on the relay you will first need to disconnect all power sources. Most of the relays come with a data sheet that displays pin configurations. You will also get information concerning the voltage ratings; this helps you eliminate errors when fixing the relay. For the car relay, this information is displayed on the PDC. If there has been overheating you will notice the melting of the black plastic casing housing the connectors. Some relays will have an LED light that indicates when it is ON/OFF. A digital multimeter is used to check the resistance of each pole on the relay and its NC/NO pole contacts. You should read an infinite resistance with the corresponding pole for the NO contacts while the NC should read 0 ohms. When you are checking for solid state relays use the multimeter for performing a diode test. The multimeter works by applying a small voltage to the semiconductors in the relay. It will check the NPN transistor, if it is faulty it will read 0 but if the silicon transistor is working it will read 0.7 and 0.5 for a germanium transistor. There are two kinds of tests you can perform on an ignition relay – electrical resistance and voltage drop. When testing for voltage drop, set the multimeter at 20V DC. The multimeter black probe should be connected to the ignition switch circuit while the red probe is connected with the red battery wire. You need someone to help you switch the ignition. A bad relay is one that displays a voltage of more than 0.2 V. The resistance should be less than 5 ohms. When dirt and particles get into the fuse box you will start experiencing power surges which eventually destroy the relay. It is vital that you occasionally clean your relay. This can be done with a vacuum blower and damp cloth. The relays are most often housed inside the fuse box. Use a blower to remove dirt particles inside the fuse box. Do not use water to clean a relay as it does not work well with electrical components. Ethanol is an alternative. Remove a relay and dip clothe in the ethanol. Use it to scrap any grim on the relay. One important relay in your car is the ignition relay. This controls the fuel and ignition system. The relay can get destroyed with time and this will cause your car to stall while in operation. When this happens you will need to identify the ignition relay beneath the car and test the relay. 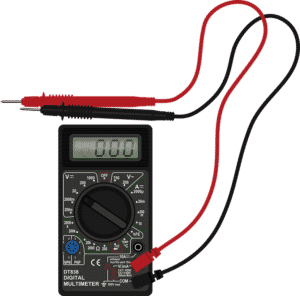 A multimeter is used to test the relay for voltage.